What Are the Benefits of Blueberries & Blackberries? It's no secret that one way to improve your health is to consume the proper amount of fruit and fruit juice. While exotic fruits such as pomegranates have been popular in the past, they're more expensive than most local offerings, such as black cherries and black cherry juice. In fact, concentrates from black cherries have been making headlines throughout the years for providing health benefits that range from pain relief to assistance in curing a variety of diseases. Uric acid is a compound that builds up naturally in the blood over time. Normally this acid is removed when blood is cleaned in the kidneys and is expelled from the body in urine. But when the body doesn't remove uric acid quickly enough it can build up in joints and cause pain, particularly in the cases of gout and arthritis. One major side effect of black cherry concentrate is that it reduces the level of uric acid in the blood, effectively neutralizing it. This often relieves joint pain in people when it is caused by a buildup of urates in the blood. 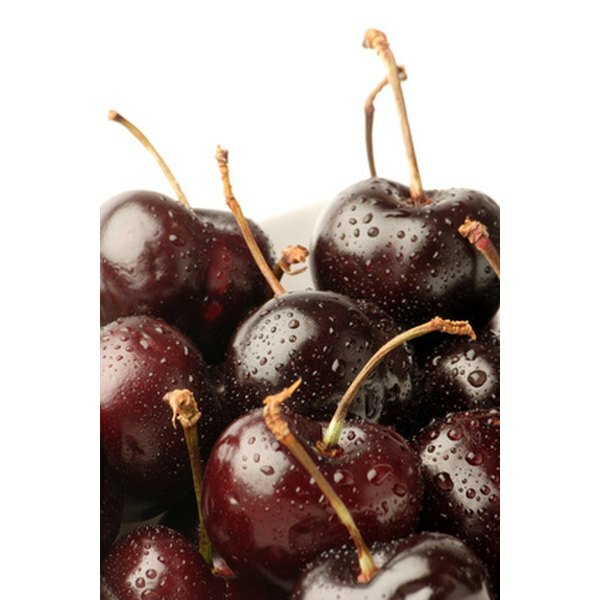 Black cherry concentrate also acts as an antioxidant in the body. Antioxidants are substances such as vitamins C and E that are thought to protect the body's cells from the harmful effects of oxidation and to help prevent aging from doing more damage to the body than it should. Generally speaking, antioxidants are important for the body. If a person isn't getting enough of them from another source, such as oranges or other citrus fruits, then black cherries and their concentrates can easily fulfill that role. Other benefits of black cherry concentrate are reducing inflammation in the body and preventing colon cancer. Black cherries (and technically all cherries) contain anthocyanins, which is the pigment that gives the cherries their naturally red, almost black color. According to Joint-Pain, scientists believe that consuming these chemicals on a regular basis helps the body prevent inflammation and swelling, prevent colon cancer, reduce the risk of heart attacks and promote better blood circulation. Are Olives High in Cholesterol? What Are the Health Benefits of Blackberry Wine?